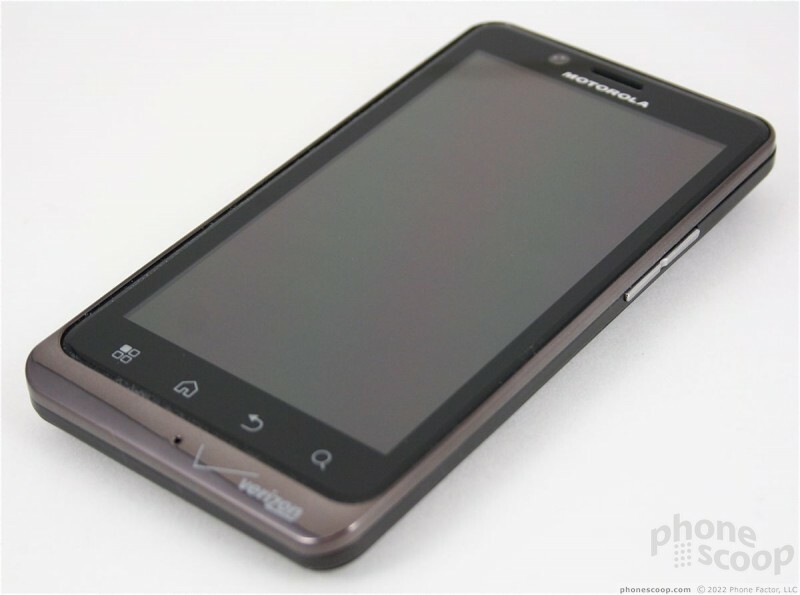 At long last, the Motorola Droid Bionic is here. The Droid Bionic, first announced at the Consumer Electronics Show in January, has been completely reborn since it first revealed itself earlier this year. It has a new design and some new features and is finally going on sale Thursday, September 8 for $299.99. Motorola briefed Phone Scoop on this device, and while we're working hard on a full review, we felt we at least owed it to Phone Scoop's readers to provide you with some initial first impressions. As with Verizon's other LTE 4G phones, it is not a dainty piece of smartphone kit. Nay, it is quite large, though Verizon was sure to tell us multiple times that it is 11mm thick, the thinnest of its LTE smartphones. Keep in mind, that is at its thinnest point. 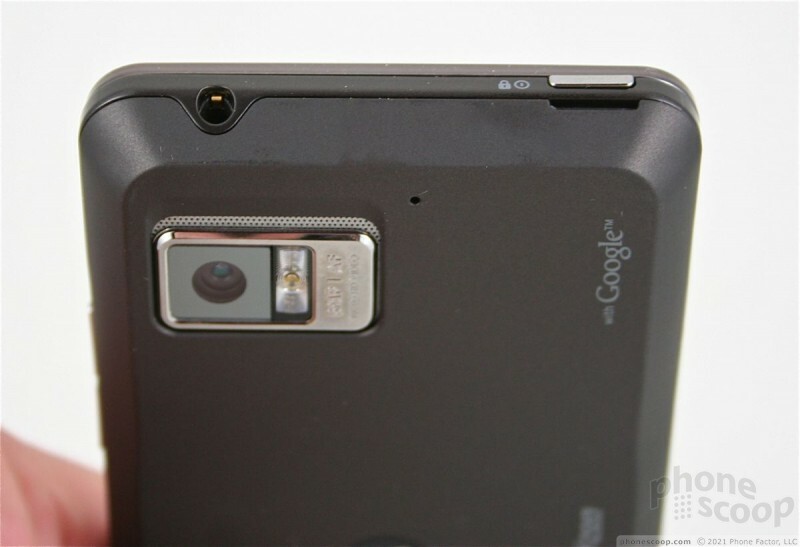 The camera bulge increases the thickness by another 2mm to 13mm. 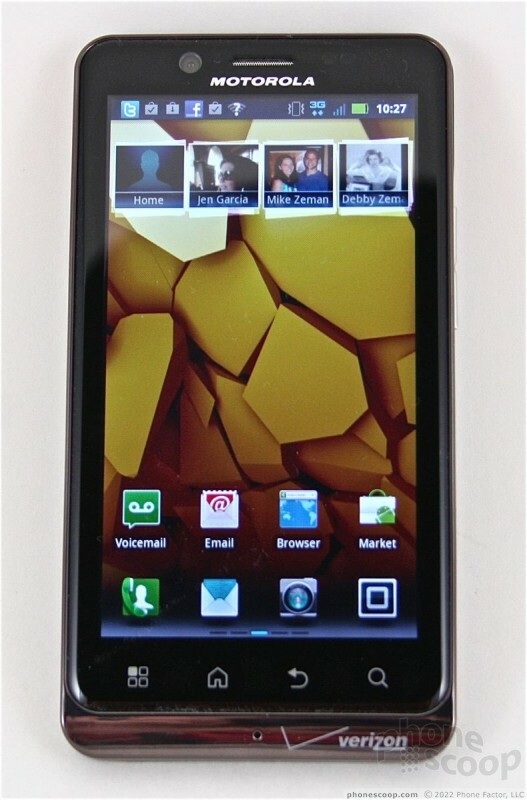 The basic shape mirrors that of the Droid X, just more so. For what it offers, it is not as egregiously large as some of its predecessors and peers. The materials feel good in general, though I am particularly impressed with the feel of the Gorilla Glass display. It has a satisfying cool-to-the-touch vibe that makes it feel harder and stronger than other displays. The Droid Bionic is a dense device, and you'll know it when you pick it up and feel the healthy heft. It's not overly burdensome in its weight, but you're not going to ever forget that it is in your pocket. The external controls are fairly basic and straight-forward. There are four capacitive touch buttons beneath the display. The microUSB and microHDMI ports are on the left side, the volume toggle is on the right side (small, but works well), and the 3.5mm headset jack and power/lock button (small, doesn't work so well) are on the top. Sadly, there is no dedicated camera key. 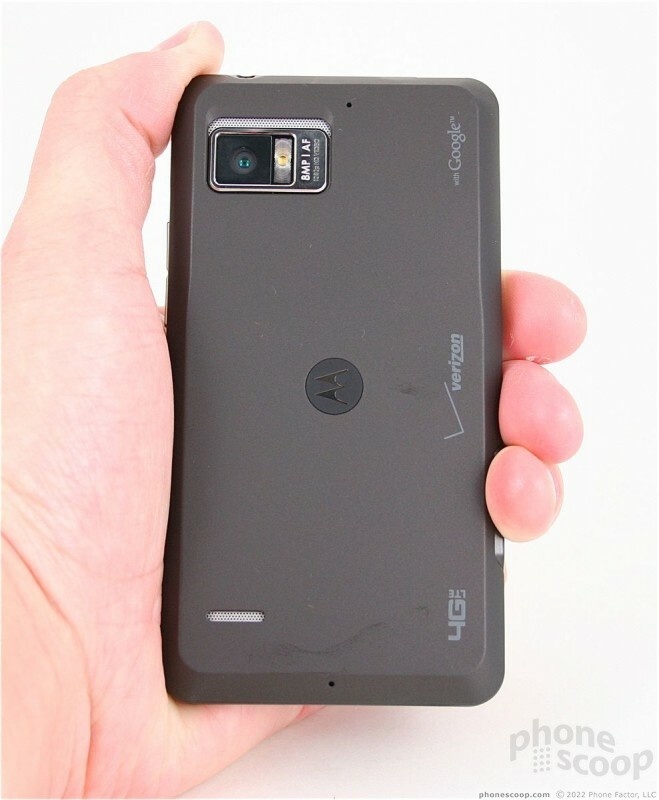 The battery cover is the only thing I really dislike about the Droid Bionic. It is made of flimsy plastic, and is finicky about clicking firmly into position. 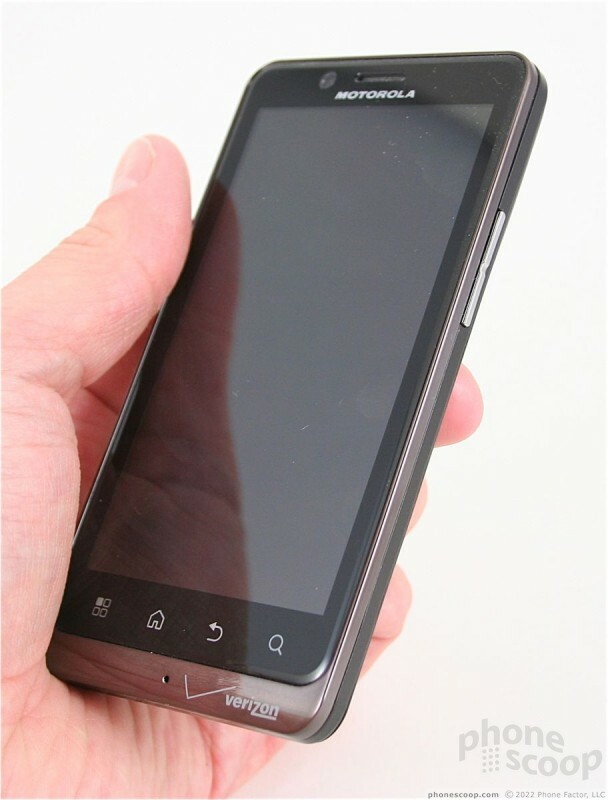 The Droid Bionic's 4.3-inch qHD display is beyond ridiculous. It is bright, colorful, and the 540 x 960 resolution looks fantastic. 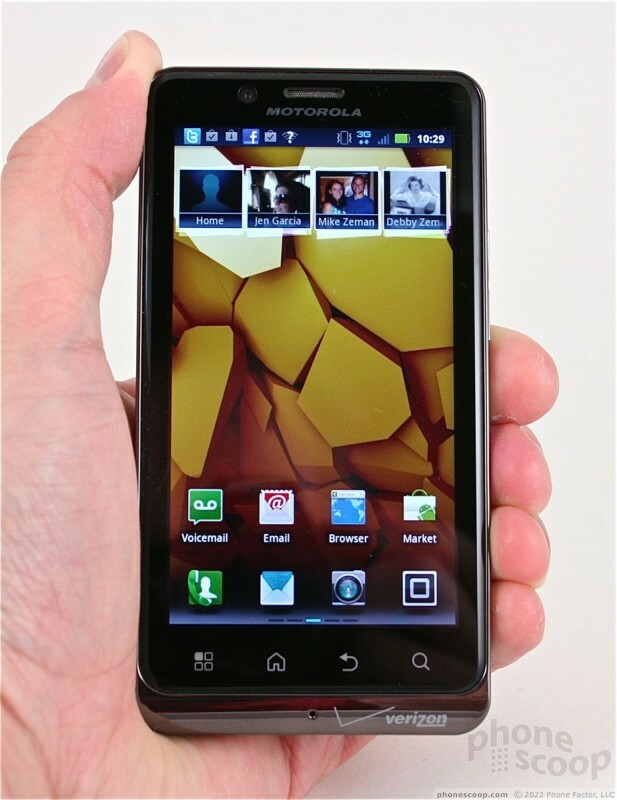 In the little time we've spent with the device, it is safe to say it is the best to come from Motorola. It truly impresses. 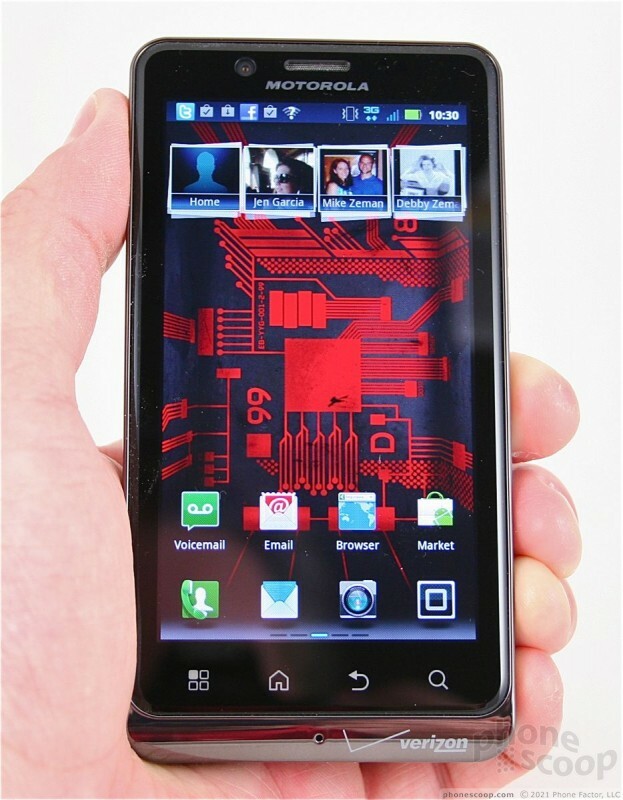 The Droid Bionic is driven by a dual-core 1GHz processor. It felt speedy, and was able to perform tasks with gusto. It never got bogged down or mired in any applications, which Motorola will credit to the device's 1GB of RAM (yes, 1GB!). I tested the LTE radio out in New York City on Tuesday afternoon, and was able to reach some impressive speeds. I scored a peak download of 14.32Mbps, with an average of 9.89Mbps. On the upload, the Droid Bionic peaked at 4.67Mbps, and averaged 4.1Mbps. Fast broadband + fast processor + huge RAM means excellent performance all around. In the few quick phone calls I made, voice quality was so-so even when under a full LTE connection. Verizon claims that the Droid Bionic has the biggest battery of all its LTE devices, and takes advantage of power-management software. The result should be noticeably improved battery performance when compared to other LTE handsets. Obviously, Phone Scoop hasn't had a chance to fully test this, but don't worry, we sure will!. 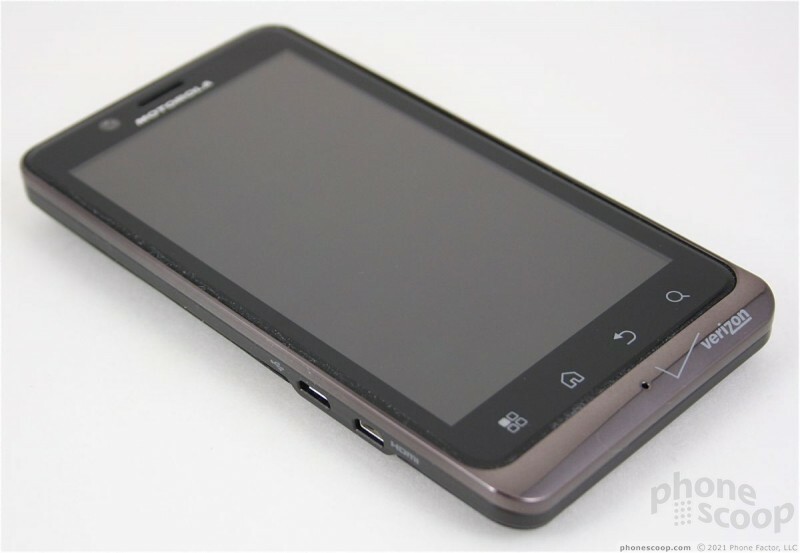 The Droid Bionic runs Android 2.3.4 Gingerbread and shows only the faintest of skins from Motorola. It acts very much like Gingerbread does on the Droid X and Droid X2. It includes some nice widgets from Motorola, and the main menu slides left and right, rather than up and down. The amount of software stuffed onto this little device borders on the insane. First, it has ZumoCast, which is a file-access program for consumers that allows people to reach through Verizon's 3G/4G network and stream/access music, video, and picture files on their desktop back home (not to mention Word documents, spreadsheets, and the like). In other words, the Droid Bionic's storage is only limited by the size of your hard drive at home. It also has enhanced security, Citrix GoToMeeting, and other business software on board. Verizon and Motorola are also making a range of accessories available, including a web top adapter (simple connecting to TVs and accessories), HD media dock, and the laptop dock (same as for the Atrix) for full mobile computing. Throw in some great media features, such as the 8 megapixel camera, 1080p HD video capture, BlockBuster, Slacker, and tons of other multimedia features, and you have a winning combination. The Motorola Droid Bionic looks great on paper, and in our first few hours of using it, the Droid Bionic appears to measure up. We can't issue any sort of final verdict on this handset until we spend some more time with it. I'll be picking this up. This is way. 1) I am coming from the OG Droid. 3) I just don't feel like waiting for a better phone at this point. At this point everyone is saying the the next great Android phone is right around the corner but like at the Bionic we are 9 months later. So those waiting for the Moto Droid HD, Samsung Droid Prime, or The Droid (place awesome name here) more power to you. I will be half way it to my contract when you get your phone and when your half way in to your's I'll be getting the next Super cool android phone. I think I am with you on this. I just hope they have them in the store on my home this evening. 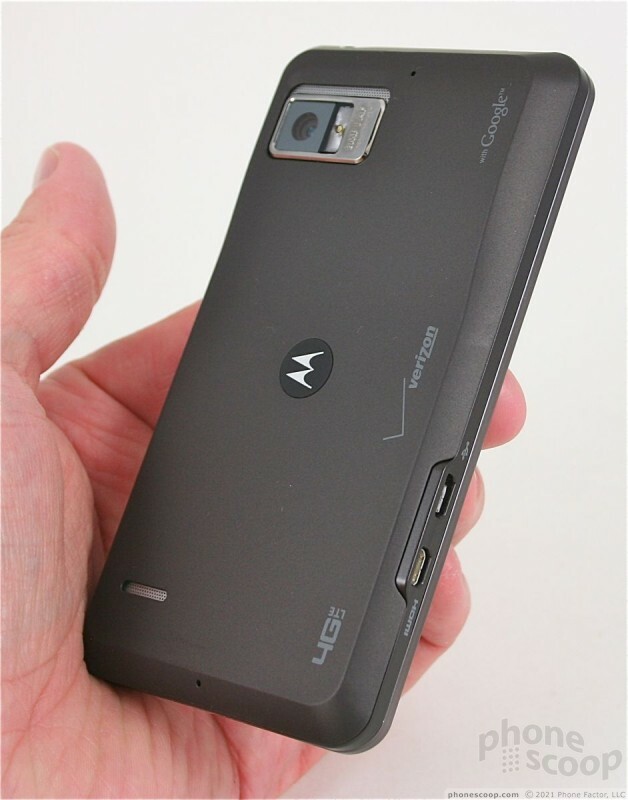 I have had a chance to play with this device as well as the Revolution 2 (AT&T=LG Thrill). I really liked the device. It has a great look, nice screen, very fast. That said I think it is a little overrated. I am not sure why they are hyping this device and underrating the LG Revolution 2 aka Thrill. I thought the Thrill was a fantastic device. The 3D was incredible and the screen was easily the best in the biz. 20% brighter than Iphone screen and you have no problems seeing in the light. Crappy pentile screens and mediocre cameras. That's the only thing that prevents me from buying them. Other than that I'm sure this bad boy will have solid reception, call quality and battery life. At least they toned down what used to be called blur so that's a step in the right direction. The screen on my Bionic looks pretty darn good (as was said in the Phonescoop preview). It looks better than the Thunderbolt or Charge. ...to the Motorola Photon 4G. What's the big fuss, again? Are you sure that the processor is still a Tegra 2 and not a OMAP? Looks pretty freakin sweet! Can't wait to see it in action when the store gets it tomorrow. Great prelim viewing. Thanks, Eric!